Must provide proof of Status at the door. To provide the learning population with an understanding and knowledge of innovations in psychiatric mental health practice and implications for practice in all settings. Explain different areas of innovation and change in psychiatric mental health nursing practice. Discuss implications for assessment, diagnosis, and treatment related to addiction and psychiatric disorders. Identify effects on and implications for practice. Criteria for awarding contact hours: A pre and post test will be given. The entire session must be attended and all requirements must be met to receive credit. The Planning Committee, presenter and content reviewers have not relevant or financial conflict of interest to disclose. There is no commercial support for this program. Speakers and Presenters and Planning Committee members and content reviewers have no relevant or financial conflict of interests. This activity has been submitted to AANP for approval to award contact hours. 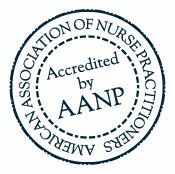 The American Association of Nurse Practitioners is accredited as an approver of continuing education. Casual hotel with an indoor pool, hot tub & a gym, plus free breakfast, parking & WiFi. Simple rooms, some with kitchenettes, & an indoor heated pool, plus free breakfast & Wi-Fi. Modern lodging with indoor & outdoor pools, a restaurant/bar & 18 meeting rooms.